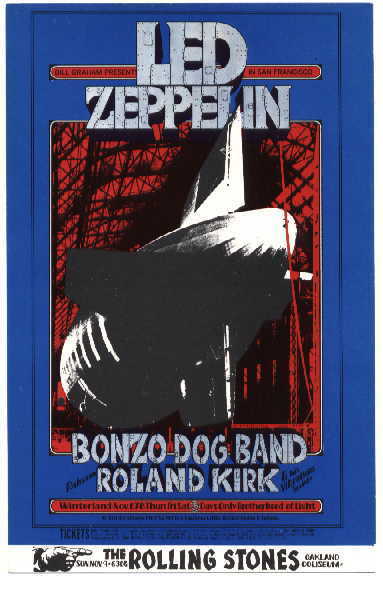 LED ZEPPELIN, Rare Concert Posters of the 60's and 70's - PosterGeist! 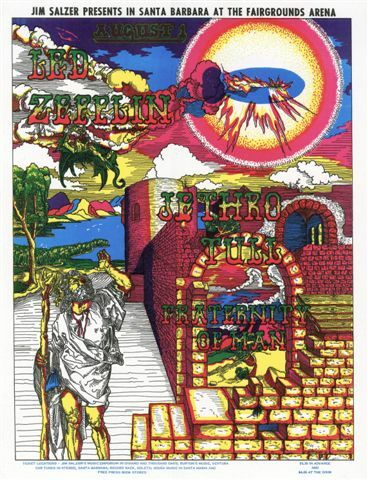 UPDATE 11/11/2017 - I VERY RECENTLY ADDED AN ENTIRE PAGE DEVOTED TO THE ORIGINAL CONCERT POSTER ARTWORK SET WHICH WAS CREATED FOR THREE CONCERTS ON LED ZEPPELIN'S SPRING 1970 NORTH AMERICAN TOUR - TO VISIT THE PAGE, GO BACK TO THE MAIN PAGE AND CLICK ON THE LED ZEPPELIN ORANGE COLORED OVAL BUTTON IN THE LEFT HAND COLUMN NEAR THE TOP OF THE PAGE OR CLICK ON THE LED ZEPPELIN LINK AT THE TOP OF THE VERTICAL ALPHABETICAL LIST ON THE MAIN PAGE. "I, Randy Tuten, hereby attest that the silkscreen I have transferred ownership of to David Faggioli is the only printing proof printed with exactly the same colors and was printed prior to the signed / numbered edition of 1,000 copies vended by Art Rock Gallery and later transferred to Wolfgang's Vault, originally produced in the early 1990's." PLEASE NOTE: The full color image posted here is NOT the hand signed 2nd printing poster I have for sale currently. I will forward digital closeup photos of both sides of the promoter published 2nd printing concert poster if you are considering purchasing the poster.